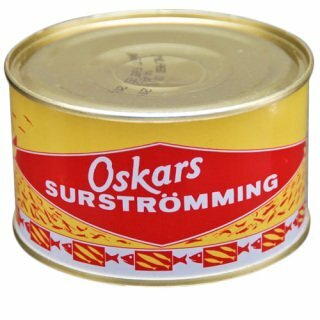 Below all the brands of surströmming that we offer in our webshop. This surströmming is one of the most famous brands. It's a basic brand and a good beginners choice. Oskars filleted version with gutted fishes. These are easier to eat, and a good choice for beginners. Does not have the same punch as whole fishes as the fermentation process loses some power with this method. 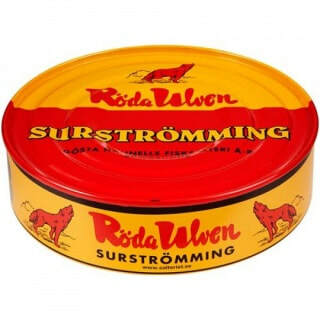 A drawback with filleted surströmming is that no fish contains any roe by obvious reasons. Beautiful reddish in the meat, all herrings contains delicious roe, and are handpicked to fulfill the requirements set by famous star chef Leif Mannerström, of containing only the best fishes. The cans are produced by Gösta Hanells fish saltery. Röda ulven got an eye-catching can with the Red Wolfs howling at the moon. Then can is also thinner but contains the standardized amount of 300 gram of surströmming per can. Produced by Gösta Hanells fish saltery, mostly known for this brand of surströmming.